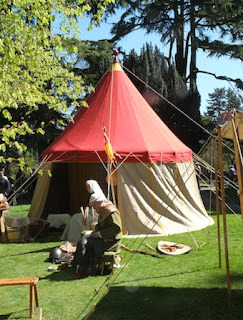 I'm stepping outside my comfort zone because I want to share the reconstruction of a medieval tent that I saw at the Malvern Heritage Festival shortly after admiring the café-in-a-caravan featured in my previous post. I don't know much about the history of tents, but I was attracted to the look of this one. Its owner, who was sitting outside making metal mail armour, told me that plain red had been chosen for the top because of the historical evidence. Illuminated manuscripts from most of the medieval period tend to show plain-coloured tents; the striped tents familiar from films and television dramas tend to be a bit later – from the end of the Middle Ages or just afterwards. The other thing he pointed out about the tent was the structure, which is supported both by hemp guy ropes and by a wooden framework – the latter has a series of spokes like an umbrella which you can see inside the tent. This dual structure makes the tent very stable, and this was demonstrated in practice when maybe about a year ago it was pitched on the rise near Raglan Castle and stood firm during a gale while other tents nearby were blowing down. It was also very warm and snug inside. I've never been an enthusiast for camping, but in something like this, I could maybe take to life under canvas. Spotted in Malvern during the heritage festival this weekend was this memorable caravan, which I think of as a piece of mobile architecture. When I first saw it across the abbey churchyard I thought it must be an American Airstream, but it's actually British, and made by a company called Rocket, based in Stourport-on-Severn, who build aluminium caravans (both touring and, like this one, for businesses) to customers' specifications. It's shiny, eye-catching, looks very well made, and contains a mobile café that was doing good business. The cheerful person behind the counter, just visible in the shadows in my photograph, dispensed me an excellent cup of tea. She told me that Café Eight Three is available for all kinds of events, parties, festivals, weddings, etc, etc – you can find out more about the café here. Please note A deadline approaches, so my posts will probably be shorter over the next few weeks. My apologies, and with them my hopes that brevity will be if not the soul, at least the occasional embodiment, of wit. The Victorian architect G F Bodley had close links to the Herefordshire village of Kinnersley. 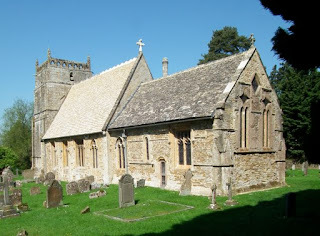 His wife's family came from the village and Bodley is also buried in the churchyard here. The church (originally built in around 1300) was restored by Thomas Nicholson in 1867–69, and a couple of years later Bodley designed painted decoration for the chancel and nave. So this modest country church has a a scheme of decoration by one of the foremost (some would say the foremost) church architect of the time. There is a richly painted chancel ceiling with flowers, sun motifs, and inscriptions of the 'IHS' monogram and 'Alleluia'. The nave walls above the arcade are also painted and both parts of the church are emblazoned with quotations from St Thomas Aquinas and the Book of Common Prayer. The painted decoration that Bodley designed was executed by the rector, the Rev Frederick Andrews, who must have been highly competent – an unusual, but by no means unique, collaboration between architect and rector. 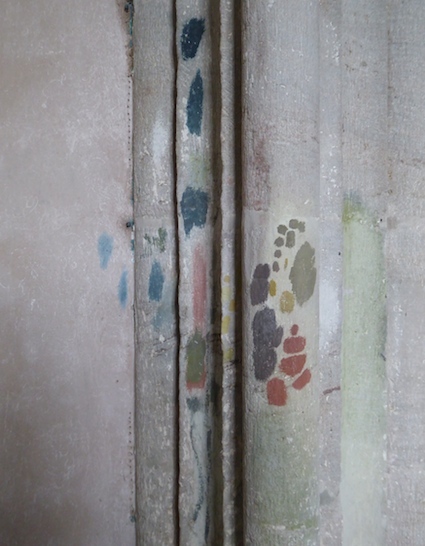 Andrews seems to have tried out the colours on a pillar near the west end of the nave (below) – the greens and reds are especially in evidence in the wall paintings in my photograph at the beginning of this post; the blues were used in combination with these colours in the chancel and on the chancel arch. 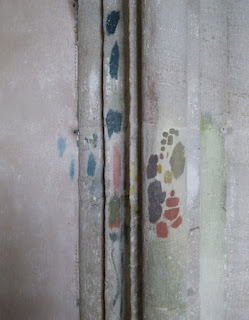 These small marks are a tangible reminder of the presence of the person who applied the paint – someone we often overlook in our admiration of the architect. Both of them deserve due credit. I’ll not rabbit on about this. It’s a small carving, crudely but vigorously done, set into the wall of the north porch of the church at Elmley Castle. Its date is not, I think, known, but the context is a wall of the 15th or 16th century, in which several older fragments, some of them identifiably Norman, are set. When I saw it, it made me smile. Looking at buildings we ask for many qualities, from utility to sublimity. Charm has its place too. It’s interesting, the way one finds out about things. A very long time ago (it would have been in the 1970s), I was advised by at least three people, including my college tutor and some close friends, to read the novel Changing Places by David Lodge. This is a very funny account of two men, one British, one American, both professors of English Literature, who swap jobs for a year as part of an academic exchange scheme. Aside from all the other interesting things about the book (the characters, the writing), it gives the novelist a wonderful way of talking about two cultures, about how English was taught in two different milieus (Lodge was also a professor of English), about fiction itself. Until recently, the received wisdom has been that the paternoster was invented in the 1870s by the engineer Peter Hart. 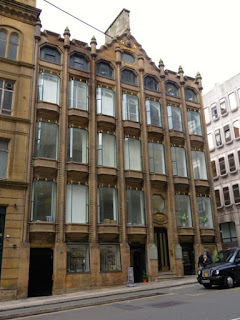 However, Robert Ainsworth and Graham Jones have shown that an earlier patent was taken out – by none other than the Liverpool architect Peter Ellis, architect of Oriel Chambers, the building in my previous post.§ Apparently Oriel Chambers had a paternoster, fitted soon after Ellis’s 1866 patent was taken out, though it does no longer. For some reason, Ellis did not renew his patent, and Ainsworth and Jones speculate that someone else may have bought the rights from him. Ellis, who was clearly a talented engineer as well as an architect, has several inventions to his credit, such as an improved water closet, a secure letterbox, and an omnibus incorporating a device for preventing crew from pocketing some of the fare money. They are all answers to specific problems, addressed with thoughtful engineering solutions. The paternoster too is like this in the way it increases capacity and reduces waiting times. The inventor even tried to address the problems of those who are unable to get on and off quickly by adding a braking device so that the endless chain could be temporarily halted. For all this, and for being mesmerized by one a few years ago in Zlín, I like paternosters. I think one can admire their ingenuity while admitting that they’ve had their time. And I increasingly admire Peter Ellis’s ingenuity the more I find out about him. The video above, with footage from Sheffield University's arts tower, explains a bit more about how paternosters work; the discovery of Ellis's invention came after the film was made. * A huge simplification of what is going on, but it will do for now. ¶ The name 'paternoster' (Our Father) comes from a comparison of this type of lift with a string of rosary beads. David Lodge taught at Birmingham University, which in many ways serves as the model for the University of Rummidge in the novel. As far as I know, Birmingham University does not have a paternoster, although there was one at the nearby university of Aston. Lodge would no doubt have known this one, as well as the one in Sheffield. Not that it matters where he got this idea from. † The Zlín building also has another memorable lift, a large one in which the office of the company boss Tomáš Bat’a was installed, so he could work on any floor he chose. Truly the Czechs go up and down with style. Finally, thanks to Joe Treasure, whose picture of Oriel Chambers used in my previous post set this not-quite-endless train of thoughts in motion. The third of my Liverpudlian trio is Oriel Chambers, an office block in Water Street that has been catching eyes since 1864. It was designed by Liverpool architect Peter Ellis (who did the equally striking 16 Cook Street and a number of other, less notable, Liverpool buildings) and it has always fascinated me. What’s striking at first glance is the amount of glass, and its arrangement. Dozens of similar oriel windows protrude from building’s two street facades. They have very narrow glazing bars, so the effect is almost like a series of glass bubbles. There are no structural outer walls. This is a framework building, and the frame is of cast iron, although the material is concealed from the world by a thin cladding of stone. So, how very modern, one thinks, for 1864: a tall, metal-framed building with a ‘curtain wall’ of glass, like a 20th-century skyscraper. And yet, also, how old-fashioned: the metal is covered with stone, and the skyline is punctuated with pinnacles that look almost Gothic. The oriels themselves have little finials too. So it’s a mixture, this building, and no less fascinating for that. When it was built, the press disliked it. Building News thought the oriels looked as if they were ‘trying to escape from the building’ and called it ‘greenhouse architecture gone mad’. A Liverpool critic in a satirical magazine called The Porcupine called the building ‘this vast abortion’ and said that ‘the plainest brick warehouse in the town is infinitely superior, as a building, to that large agglomeration of protruding plate-glass bubbles.’ They didn’t much bother about the back of the building, which is even more remarkably modern, as the video below about Oriel Chambers and Ellis’s Cook Street block, reveals. There used to be a lot of speculation that Ellis’s career was derailed by the contemporary criticism he received for Oriel Chambers. 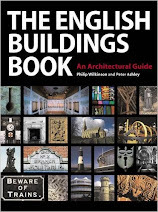 But historians Robert Ainsworth and Graham Jones* have researched the architect’s life and work, and have found a man quietly thriving as an architect and surveyor – and pursuing new directions, which I hope to cover in a further post. 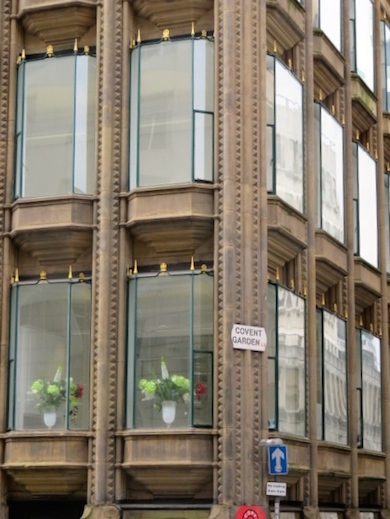 Meanwhile, we can, I think, admire Oriel Chambers as a fascinating building that looks forward to modernist architecture while also glancing back towards tradition: not a bad way of working, to my mind. His building is an asset to Liverpool and deservedly famous. With many thanks once more to Joe Treasure for the pictures of Oriel Chambers. The second of my clutch of buildings from Liverpool illustrates a trend common in the manufacturing and mercantile cities that were expanding in the last decades of the 19th century – the fashion for terracotta used in combination with either brick or red sandstone. These materials produced buildings of deepest red, and terracotta – ‘baked earth’ similar to brick but usually with a finer grain to give fine detail – allows a variety of ornament. 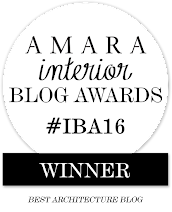 This is a kind of decoration beloved of architects of city office buildings and their clients. This example is the British and Foreign Marine Insurance Company offices (1888–90) in Castle Street. 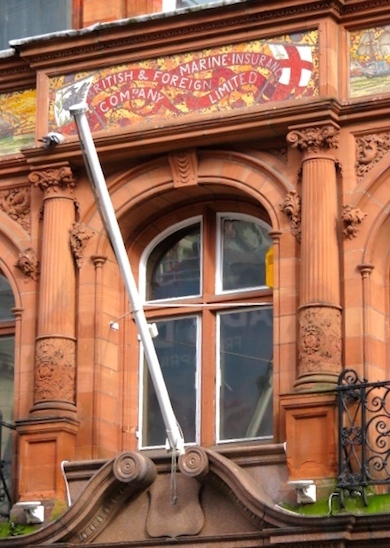 Insurance, of course, was an important business in a maritime city like Liverpool, and the place has several Victorian insurance offices, a number, like this one, by the local architects Grayson and Ould. The British and Foreign offices, in red sandstone and terracotta, are outstanding because the designers turned up the decorative volume with the use of mosaics. The mosaics were designed by Frank Murray (they bear his signature) and produced by Salviati, the glass- and mosaic-maker that was founded in Venice but worked all over Europe. They show marine scenes, naturally, along with the flags of Liverpool and England, and feature a whole panoply of historical shipping, from galleys, through galleons in full sail, to what would in 1889 have been the latest in steamship technology. They ply, these ships, a beautifully depicted ocean in shades of green, punctuated by occasional dashes of bright reflected colour and enlivened by pale spray. Behind, as a background, an enormous sunburst spreads across the sky. The British and Foreign was established in the 1860s and the friezes of historical shipping no doubt gave what was quite a young company an air of historical respectability and soundness, as well as alluding to Liverpool’s history of sea trade. They did their job – and still do a very satisfying decorative job today. When a friend told me he’d be visiting Liverpool I was reminded (again) how little I manage to travel to the north of England. In the spirit of the vicarious traveller, I therefore gave my friend a few hints about buildings he should keep a look out for. Confident that he knew about the city’s most famous buildings – the cathedrals, the docks, and so on – I stuck to a handful of personal favourites that he might otherwise have missed. He reported back, and has generously agreed to my sharing a few of his photographs. My first suggestion was the pub called the Philharmonic Dining Rooms, in Hope Street, across the way from the Philharmonic Hall from which it takes its name. This is a splendid pub, built right at the end of the 19th century. The architect was Walter W Thomas, who designed several Liverpool pubs. He created a building in the freewheeling style of the time – it’s a winning mixture of turrets, stepped gables, mullioned windows and balconies outside, polished wood, copper plaques, ornate plasterwork, and fancy glazing within. He was aided and abetted in this work by the craftsmen of the School of Architecture and Applied Arts at University College, Liverpool, at that time under the guidance of the artist George Hall Neale and of Arthur Stratton, architect and prolific author of books on architecture. This makes the place something of a showcase of Liverpool arts and crafts. A particular glory of this pub is the gents’ lavatory. Beautifully figured pinkish marble is used for the urinals and the basin surrounds. Behind the basins are Art Nouveau tiles – the upper narrow ones, each with a trio of stylised round fruit, would not look out of place in a building of the Vienna Secession. There are also mosaics on the floor and around the water cistern.I have commented on a few public conveniences in my time, but have never found one with an interior as good as this: glorious. With many thanks to Joe Treasure for the images of the Philharmonic gents. 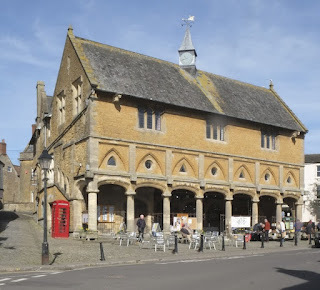 Reflected in the window of the shop in my previous post you can see the Market House (or Town Hall), the focal building at the centre of Castle Cary. Regular readers know that I am fond of market houses in English towns, precisely because of their function as all-purpose buildings and the way they act as a hub for so many places. Buildings like this are part market, part local government centre, part information centre, part museum, part clock tower… The list goes on. This one was built in 1855 and so is a relative youngster compared to the Tudor or medieval examples seen in some towns. But it has the same layout as its forebears, with a partly open ground floor for trading, an upper floor originally for a corn market I think, and a top floor for assemblies and meetings. The architecture is similar to earlier such halls too, with a row of shallow arches supported on simple cylindrical columns to the ground floor and simple mullioned windows to the top floor. In between, though, the middle floor has a surprising combination of round and arched windows, set in pointed (almost triangle) relieving arches. 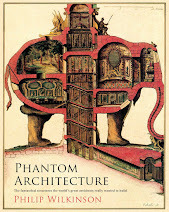 This touch, original as far as I know, was probably the invention of the architect, F C Penrose. The Victoria County History records that the 19th-century market was not a great success, but that the building was valued as an assembly place and as a base for the local council as well as for such groups as the vestry, the poor law officials, education officers, and police. Clearly it still is much valued. It has recently been resorted and its rooms contain a museum and spaces for hire. It is still at the heart of the town.